The recent demonetization has created a lot of ripples in the country. People have either been queueing up in front of banks and ATMs for cash to spend, or they have been making the move to digital banking and transactions and avoiding cash entirely. Amid other things, this demonetization has brought forward the role of technology in creating a cashless economy. For example, mobile wallets are constantly seeing an upward trend in usage since the demonetization announcement. Even new segments, like non-partner retail stores, are beginning to use payment wallets and other solutions to operate smoothly. And this is bringing about the single greatest FinTech Revolution of our times, right here in India. As Julie Lake, Founding Director of Fintech50 and Fintech City puts it, post London and its peak Fintech growth the world was looking at many cities as the next Fintech hub, like Singapore and other places, but with the demonetization move, India has become the next big Fintech hub overnight. In the light of this situation, Thomson Reuters could not pick a better time to host Fintech Day, which was held at Mumbai on 30th Nov, 2016. The event comprised of 8 startups presenting their ideas and product models in front a panel of 5 judges, out of which 3 were to be selected as winners. The winners would be awarded trophies as well as granted access to Thomson Reuters APIs, datasets, support and most importantly, a potential inclusion on the Eikon App Studio. But before the presentations were started, there was a panel discussion on Banking innovation with Mr. Amit Kumar, Partner and Director, BCG, Mr. Hitesh Sachdev, Principal, Emerging Marketing Funds, ICICI and Mr.Sriram Ramnarayan moderated by Euan Rocha, Bureau Chief, Reuters News. This discussion provided a lot of useful insights to the future of banking innovation and the way banks are planning to take the digital economy forward. Altflo - This startup aims to hit the market of alternative asset management. Altflo Technologies, or rather their product Altflo, is a closed marketplace for alternative asset and investment management. It aims to employ an engine that uses technology to speed up the process of deal-making when it comes to alternative assets, along with efficiently managing the same. For those of you confused about what an alternative asset is, any asset owned by someone that is not in the form of a stock, bond or cash is an alternative asset. So, private companies, distressed securities, investments funds like venture capital, private equity, hedge, secondary, etc., real estate and infrastructure, financial derivatives and even art and wine would fall into this segment. Capital Quant Solutions Pvt Ltd - With their main strength in data analysis, Capital Quant’s product Finstinct can analyse bulk text to generate insights. It is specifically built to function as a financial tool for identifying price moving triggers, forward looking documents and extracting structured data from unstructured data. The platform is highly intuitive and is based on NLP and Machine Learning. It takes as input things like News, Reports, Social media data, analyst call transcripts and even identifies things like balance sheets and understands them on its own. FIXNIX - FIXNIX offers governance, risks and compliance management as well we as analytic tools in its two separate suits of offerings. Under the GRC suite it offers Enterprise Risk Management, Regulatory Change Management, Compliance management, Policy management and more such compliance and regulatory tools. On the other hand, in its analytic suite it offers attrition analytics, insurance analytics, supply chain analytics and even interesting options like resume analytics. Gumption Labs - This one believes strongly in its algorithms. Gumption labs has multiple SaaS offerings that deal with investments and financial decision making. Their first offering FundExpert is an online intelligent investing platform enabling auto monitoring of all investments whether in mutual funds or direct equity. Whereas their other offering, TradersCockpit.com, which has been around for a while, is a Cloud based Financial Markets Data Analytics Software. 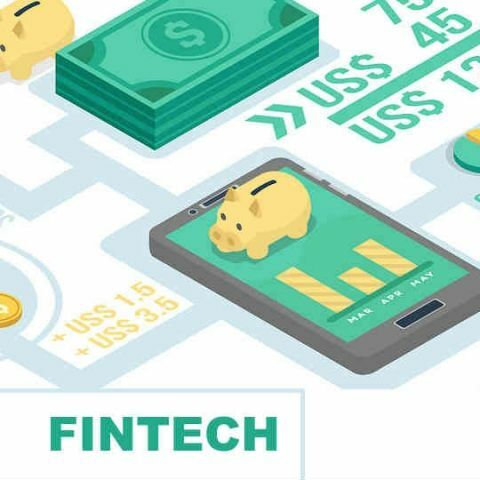 IBS Fintech - Their innovative product, that is literally named Innovative Treasure 5.0i, is, as the name says, a treasury management software. While that name might seem to be informative, it is actually quite deceptive to the layman as its product suite offers everything that a bank or a financial house might need. So far they have made 18 implementations and various parts of their suite are used by significant companies like Indofil, Snapdeal, The Times group, Future group and more. Signzy - Signzy simply aims to automate the complicated regulatory process that businesses have to deal with. They aim to bring the offline segments of KYC and contracting into the online world. According to them, their overall offering is Trust 2.0, which will be about bringing the trust of business regulation online. Their products offer real time bank grade KYC, Algorithmic Risk Intelligence and Digital Contracts using biometrics and Aadhar. Tataatsu Idealabs - Seer, Tataatsu’s SaaS solution can be used by investors to digest news and present the entire summary in a semantically enriched manner. The platform can track a news story across multiple sources, and offers some really unique features like News Deep Dive that shows real time patterns, and outlier detection, that identifies stories against patterns. Teligenz - FINSPOT is a WIP product from Teligenz that aims to reimagine retail trading and investing with an interesting touch - it has integrated Python scripting support. Currently only operational on the iPad, the platform offers custom visualisations and sophisticated stock search as well, along with a custom news filter. The platform, as demonstrated at the event, is highly polished and seamless.